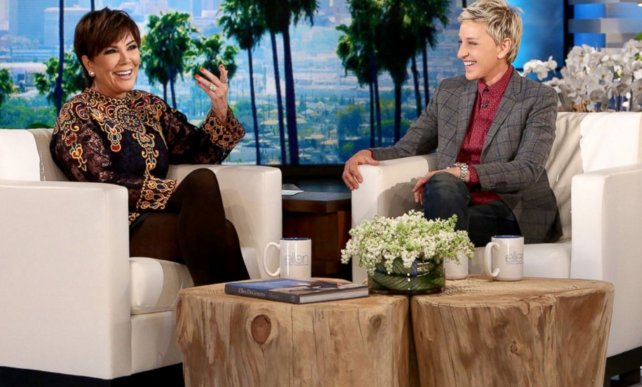 Los Angeles, CA, United States (4E) – Kris Jenner appeared on “The Ellen DeGeneres Show” and she was asked about the shocking death of Nicole Brown Simpson and what she thought when she knew about it. More than 20 years after the death of her friend, the ongoing season of “American Crime Story: People v. O.J. Simpson” has reportedly forced Jenner to recall the memories she had when she learned about the murder. Jenner shared, "Her mom called me. I had known O.J. [Simpson] since I was 17 years old. When I met Robert [ Kardashian ] I met O.J. So, that was a very long time ago. He was like a big brother to me and that morning I had been coming back from taking the kids to school and I was supposed to meet Nicole. I was going to change and go and meet her and my assistant said Judy's on the phone and I said tell her I'll call her right back." She then recalled that her assistant talked to the mother of Nicole but she told Jenner , “You really need to take the call.” Jenner added that she picked up the phone and remember Nicole’s mother saying that her friend was shot. She continued, “And I said, 'What?' I said, 'Ok I am on my way. Where do I need to go?' She said, 'No, she didn't make it.'" Jenner recalled that there were signs that she did not pay attention enough to. Nicole reportedly wanted to show Jenner some things that were in her safe. The momager added, "Now, unfortunately, it all makes sense that that's probably what she wanted to reveal to me that next day, which broke my heart because I will always feel horrible that I didn't pay enough attention." As for her thoughts on the murder, she said that she felt caught in the cross hairs of the ordeal as her ex-husband represented O.J. and she felt like she was gearing towards Nicole’s. Jenner added, "I didn't know that there was abuse until we heard and saw the whole thing unfold like everyone else, and then heard the 911 tapes…which were going to be used as evidence during the trial. Me and some of her other close friends all were really surprised and shocked by that, because we felt like we really failed her as a friend."